It’s Friday! 🙂 And here are all the next four rows for this week if you’re joining in with my ‘Seaside Stash Busting Blanket’ ‘Crochet-Along’. We’re crocheting just 4 rows per week and by the end we’ll all have a beautiful and good sized blanket! The response to this ‘Crochet-Along’ has been phenomenal! 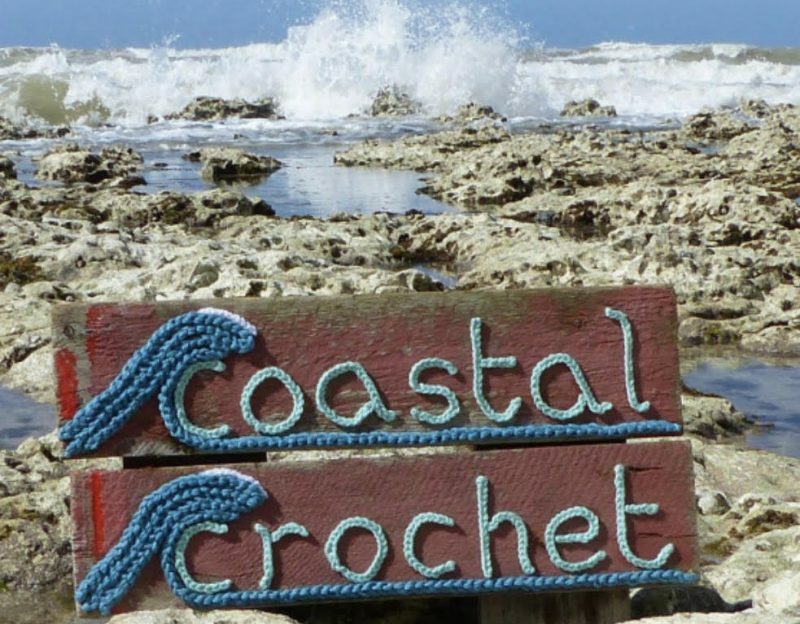 It’s an amazing thought for me that crocheters all around the world are making my blanket at the same time as me… 😊 Over on Instagram people are using the hashtag #seasidestashbustingblanket so we can all see each other’s progress and colours! It’s turning into a wonderful shared experience! But I have discovered that of course people are at all different levels of crochet ability and experience, hence the YouTube tutorial. I want to do as much as I can to help people make this blanket with me! We are crocheting these next four rows in the same colour but you get to choose a contrasting colour for the bobbles we’re going to make! I love bobbles and mine remind me of pieces of green sea glass but you can choose any colour you like! Before going any further just make sure that at the end of row 4 you have 89 groups of 2tr and 1 tr at each side to make a total of 180 stitches. You should have a new colour joined at the end of Row 4 and have made 3 chains (which count as your first stitch) ready to start Row 5. Before going onto Row 7, here’s how to ‘Make a Bobble’ (MB) by completing all the following in the same stitch: join a contrasting colour yarn by putting it *yarn over hook (yoh), insert hook into st, pull contrasting yarn through to front, yoh, pull through 2 loops, repeat from * 4 times (you should now have 5 contrasting colour loops and 1 main colour loop on hook), pull main colour yarn through all the loops on the hook (1 bobble made), continue with main colour, push bobble towards front of work, carry contrasting colour yarn along behind work and crochet next stitches around it to bring it along invisibly behind the work. Do ask any questions and enjoy! Yay! I’ve been looking forward to this, and the next 4 rows look fab. I would love to start this cal asap but i can’t find week 1! Am I missing something? Please advise and it is beautiful! So pretty, good luck to everyone taking part. Bam – done! Enjoyed the bobbles. I have so enjoyed seeing everyone’s color takes on this! They are all so pretty! Well done starting such a fun project! Thanks for creating the video! I’ve learned how to do bobbles from it! I look forward to seeing this progress! I have too many wips to join at the moment but I love watching CALs grow! Just started today on this. I love how you write patterns. I do not know how to read them but you have made them easy for me. My husband said I look like I am studying since I have to open my books to translate the UK to American english terminology. Love it! I can’t wait until week 3! Thank you so much for sharing! I just found it this week and I’m having so much fun catching up! What is the difference between UK and English? Do you have the English version? What if you don’t have enough stitches I’m short by 8!! Don’t know how ! If I chain a multiple of 18 + 2, will that work with the pattern? I dink’s want a big afghan. Thank you! Thank you for your prompt response! Fingers crossed that I can make adaptations! Do you have a tutorial on row 8 by any chance? I only have 29 bobbles and my stitches in row 8 do not look like yours. Hi. Is there a place I can get the directions for the Seaside stash blanket all in one pattern to print out. Thanks.